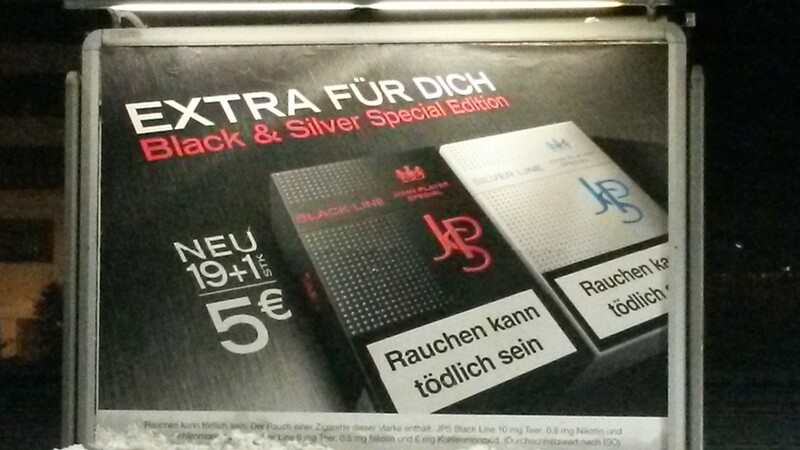 Back in Munich, I find cigarette a dvertising in rude health. 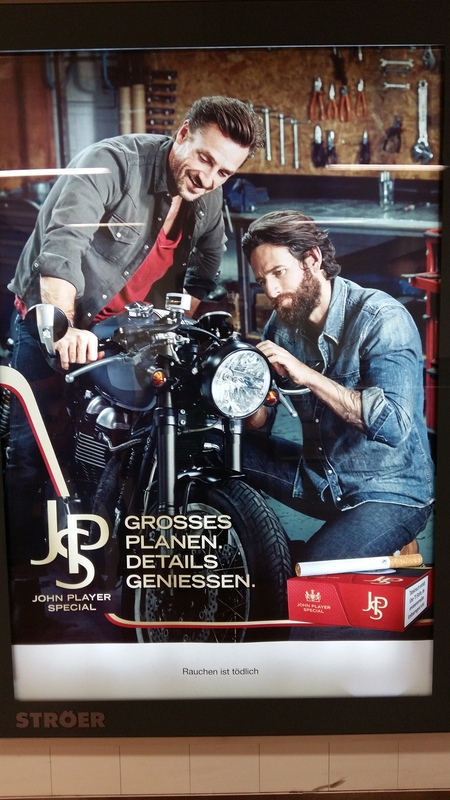 JSP is back, relinquishing beautiful people and men with spanners, in favour of a brash 40 per packet, just to help the chronic disease on a little bit. “Outside large, inside awesome” goes the modest strapline. I think it is time for a return to cigarette cases – decanting a few from the packet to avoid looking like a desperate smoker. 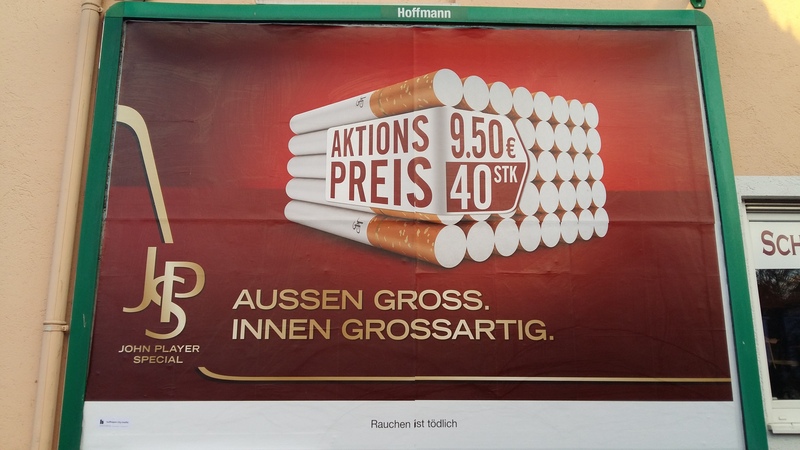 By goodness, the cigarette manufacturers do seem to like Hamburg as a city to market their lethal products. JPS (left), for example, occupies many of those smaller lit poster sites (bus shelters, etc.). What do we have here? Huge Plans. Enjoyable details. Presumably, let’s get that bolt sorted and we can go even faster on those infamous German autobahns. Better to die instantly now doing what we like rather than later with the inevitable chronic lung disease?